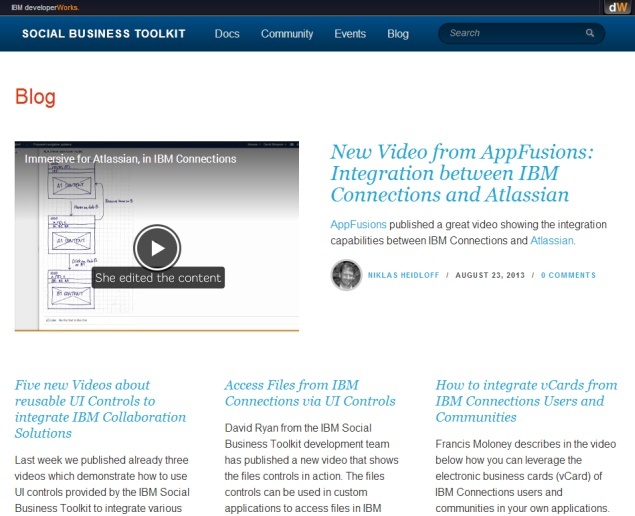 We have updated the user experience of the IBM Social Business Toolkit blog. The blog home page displays now featured blog entries at the top with a screenshot so that key blog entries remain visible for a longer time. For the list of blog entries we use now a newspaper style where entries are displayed in multiple columns. Initially the last three blog entries are displayed, older entries can be added to the page via the ‘show more’ button. 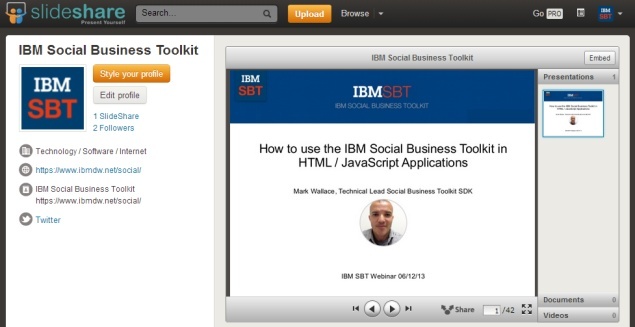 Previously we also updated the SBT Twitter, YouTube and Slideshare profiles to use the SBT style.